Have you heard of Pinterest? I'm assuming the answer is yes because I'm pretty sure I'm one of the last people on this bandwagon, but if you haven't checked it out, it's a really cool website where you can create pinboards of things you've found on the internet. I've started using it to find and keep track of all sorts of things I'd like to try making (and subsequently blogging about right here). One of the things I'm really loving on Pinterest is all the pictures of cool hairstyles. 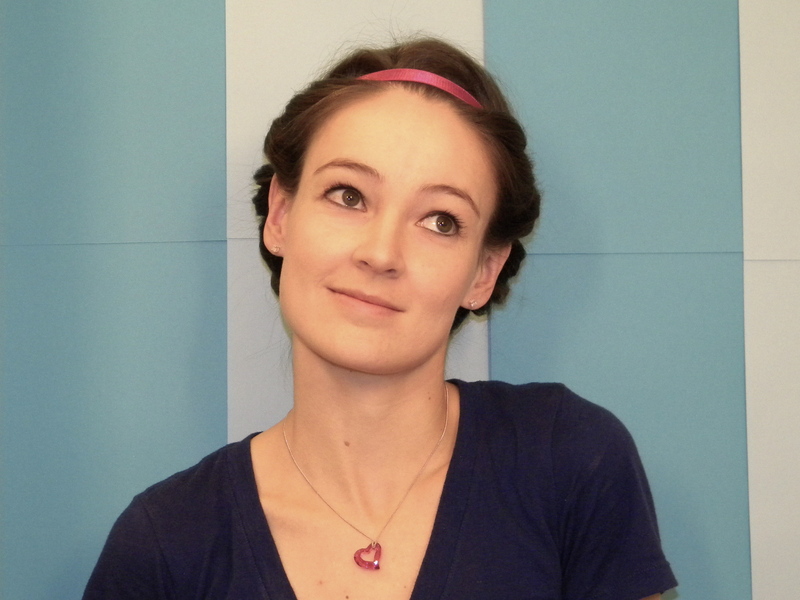 I have long hair, and I love creating fun hairstyles, so I'm going to start trying out the styles I find and blogging about the good ones. Today I'm going to write about some fun curls that I found a picture of on Pinterest that originally came from this youtube video. 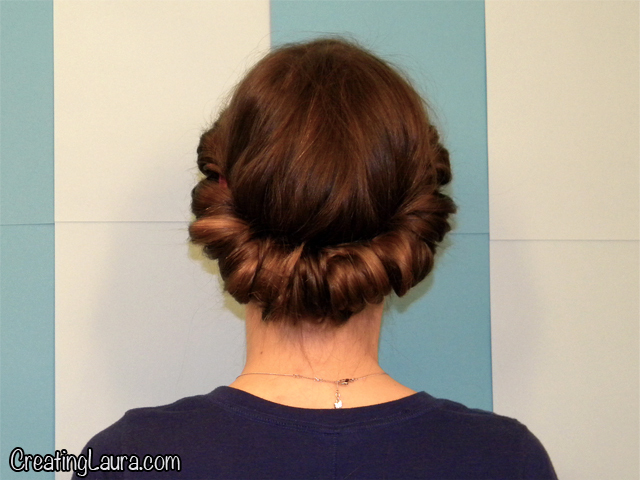 These curls are great because they require no heat so they won't damage your hair. The only downside to them is that the results are a little unpredictable as it is difficult to make all the curls exactly the same. Start by brushing and parting your air-dried hair. 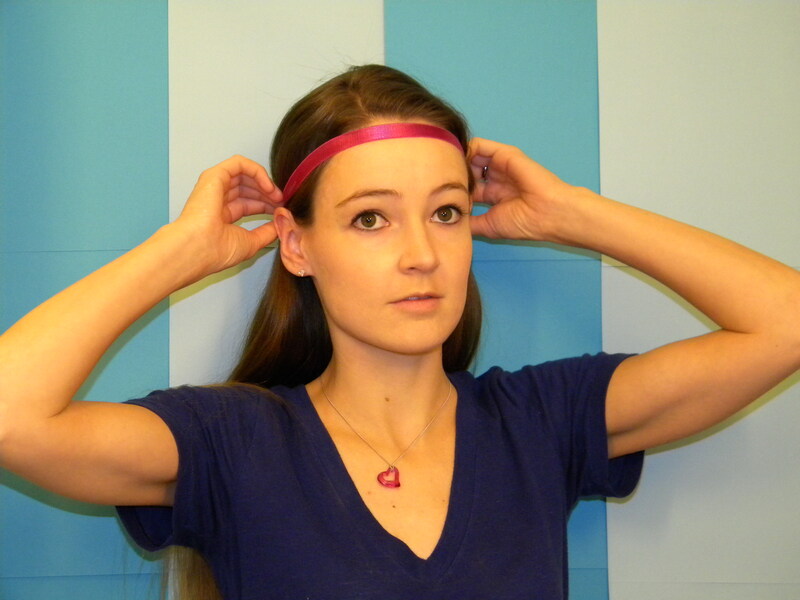 Place a stretchy headband over your hair. 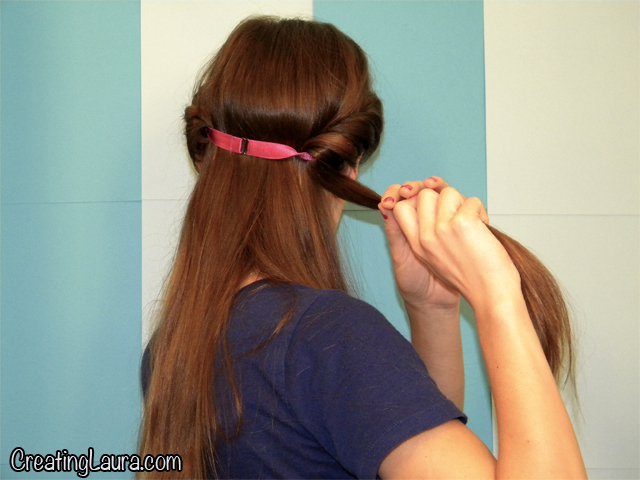 Starting on one side of your part, pull a small section of hair up and around the headband. 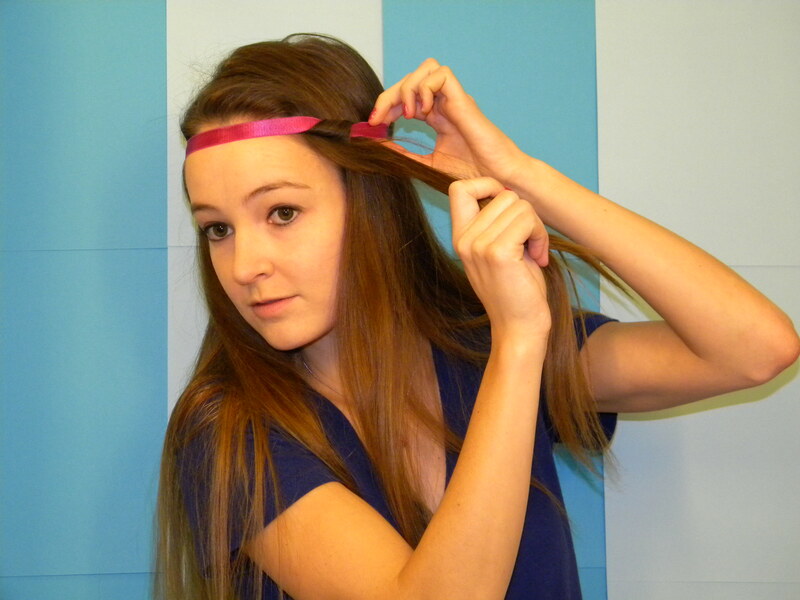 Continue wrapping strands around the headband until you've finished half of your hair. 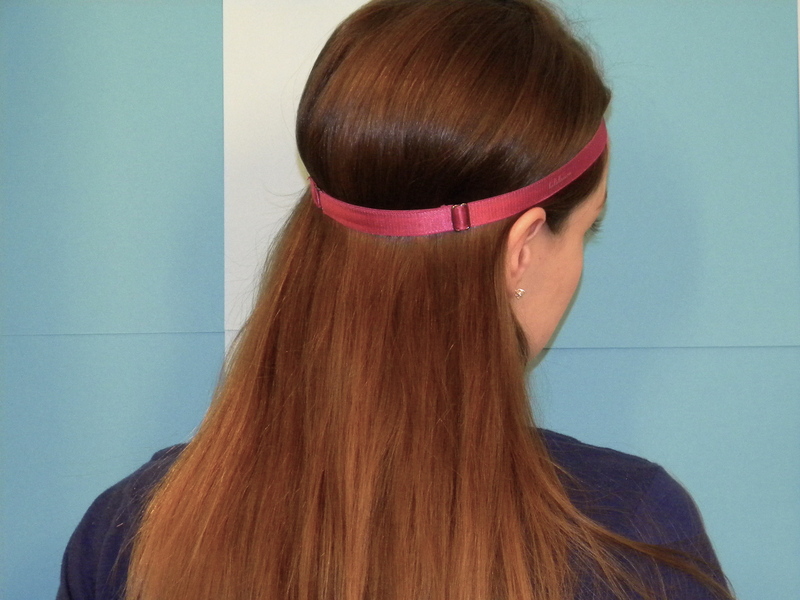 Do the exact same thing to the other side of your hair, leaving a gap on the back of the headband so there will be room for the last step. And now it's time to leave your hair alone and go to sleep (or wear it around all day because it really is kind of cute). This was a really fun project for me, so I hope you liked reading about it! Also, if you are a member of Pinterest and want to check out my pins, you can find them here. Oh I love this! I am definitely going to give this a try since I have very long hair too and although it is naturally wavy, it's a bit rubbish at doing it by itself. Thanks for a great tutorial! That is so awesome! I love it Laura! 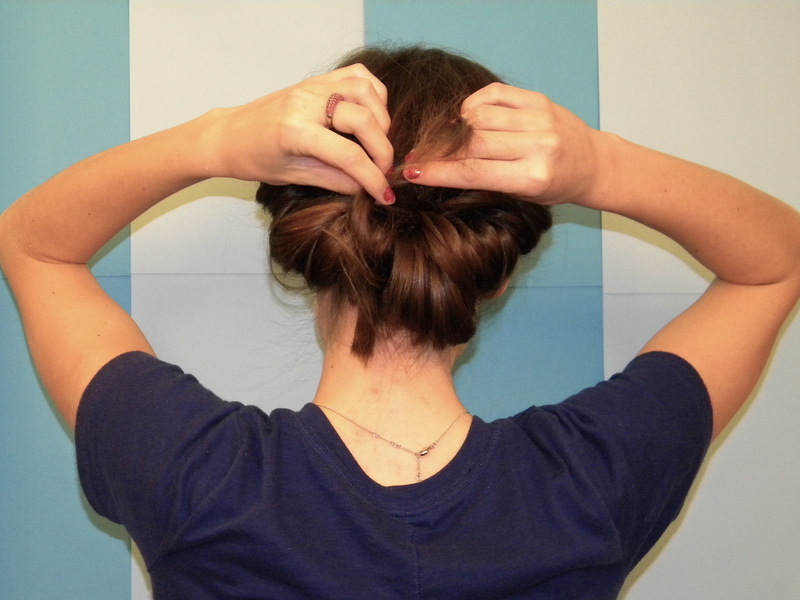 I wish my hair was long enough to do these stuff! You make it look so easy! I will have to try this. 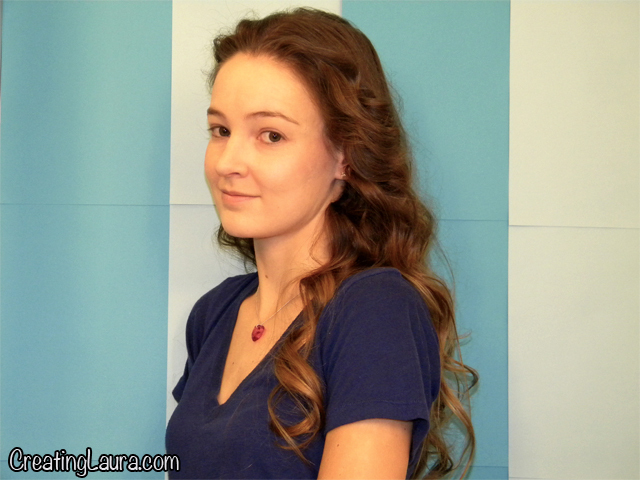 I've been looking for an easy way to curl my hair since I am not so good at using the flat iron to do them. Thanks for sharing! Thanks Laia! I didn't know you were a blogger... I'm following you now! No problem! 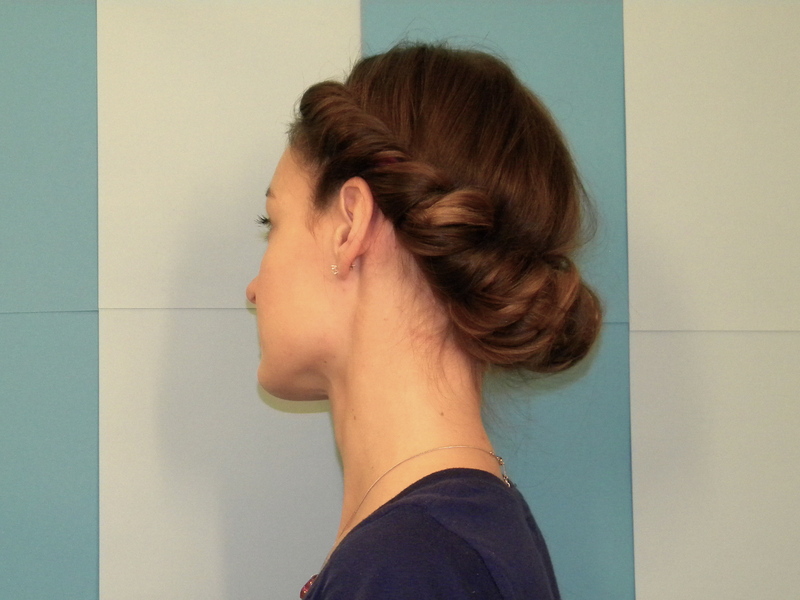 This is definitely easier than doing them with a flat iron. I do that sometimes too, but it takes a lot longer. This is super cool! I'm going to try it. I really like how you have LOTS of pictures of all your projects so I can follow along easily and not get confused. Thanks Laura! Yay, thanks, I'm glad you like it! And thanks for reading my blog! This is the first time I hear about Pinterest, and I'm intrigued. Thanks for the tutorial, I have a long hair too and certainly will try it. Till now I made curls by braiding a half dried hair at the evening, so at the morning I have curly hair. You have a tons of great ideas, I like this blog a lot. Keep up the good work! I found your site through Pinterest, and I'm in love!!! You are a very talent blogger! I have been blogging for only 3 months: http://blandiloquently.blogspot.com/. Let me know what you think, any advice? Thanks for the compliments! It's funny, you are the second person this week to ask if I can make a video to go along with one of my blog posts. I've never done a video tutorial before but I'm thinking of trying it. I'll let you know if I do it! 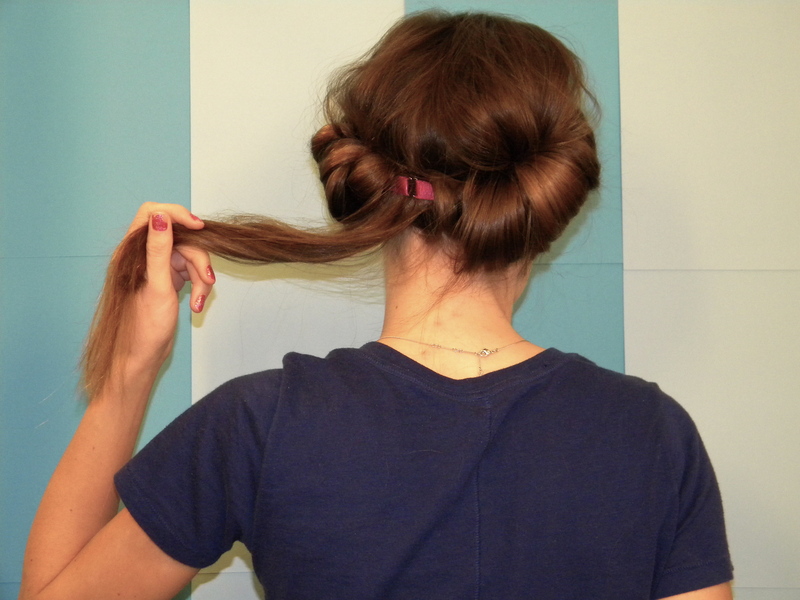 I'm so glad you did this, I saw it on pinterest but didn't think it would work with long hair! 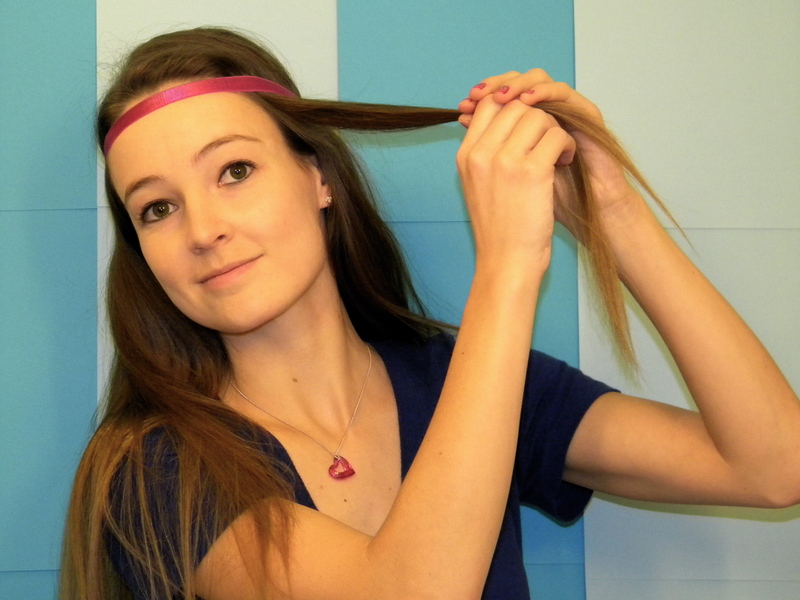 Yep, it totally works with long hair; you just have to wrap it around the headband a few more times than our short haired friends do.